I'm not much of a baker but reckon with a bit of practice I could just about get by. 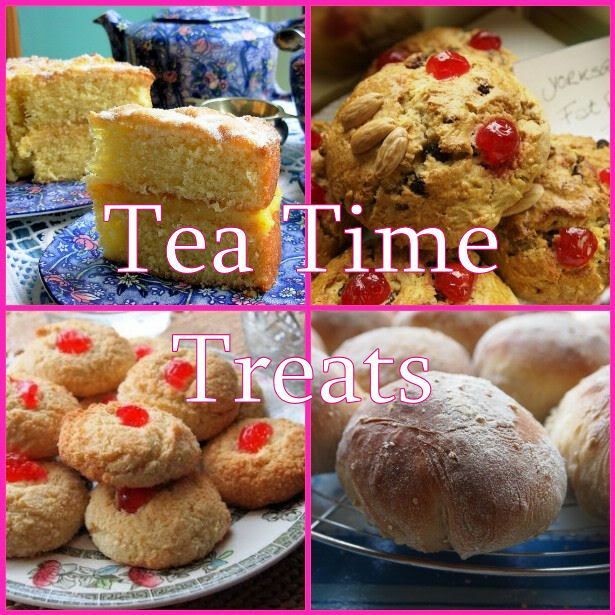 So I was delighted when Lavender and Lovage suggested scones on her Tea Time Treats challenge. I've never really tried them before - well not for many years - and thought that after watching the Great British Bake Off I could give them a go. I knew not to overwork it nor to twist when you cut them but other than that I was a bit of a scone virgin. Given we are just about to move house, I was left with only the internet for recipe inspiration and so opted for one from the BBC. It was easy enough to make but they didn't rise quite as well as I would have liked. I tried a second batch - this time of cheese scones. Again a BBC recipe but this time from Good Food. This one used oil instead of butter but I really didn't like the texture of them. This one is definitely going to need practice ! Well they BOTH look great actually - I am a lover of both sweet and savoury scones and those look great. I agree with you about adding oil - that is something I would not add to scones; my recipe for scones is half white fat (Trex) and half butter (or margarine) for a light flake and crisp texture with a soft inside. I LOVE your second photo of the scones stack....thanks for entering into Tea Time Treats, and I am looking forward to you next batch/s.